Actors want to be wanted, whether it’s for a role in a play or musical, film, or TV show. But sometimes we want to get that role so badly that we forget to use some common sense when we audition and may get ourselves into an iffy situation (yours truly included). So here are five things to watch out for, so the only thing you have to worry about at your audition is if you get the gig! 1) Auditions should always be held in public places. Auditions for legit shows or film/tv should be held in some sort of public space: a studio space, a theater, even a hotel conference room. I once met a director for a very small play at a Starbucks for a first cold-read audition. 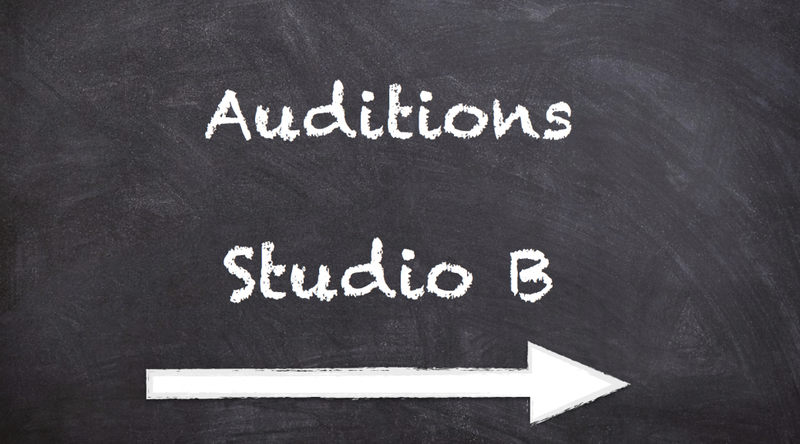 Now, there are ALWAYS exceptions: perhaps an out-of-town production company in a smaller city or town has a suite of rooms at a big hotel and are using the rooms as an audition space, but make sure that you know where an audition is and how many people will be present. When in doubt, bring a friend along. He or she can always get some coffee while waiting for you. Of course, if it doesn’t feel safe, don’t go. 2) Don’t put your home address on your resume. This may sound like a no brainer, but I still see it done. DON’T put your home address on your resumes. Resumes can be left in trash cans or on tables in many, many places, and you don’t want your address out there for all the world to see. If you don’t have representation, use a phone number where you are the one answering/checking voicemail and a straightforward email address (no cutesy names). 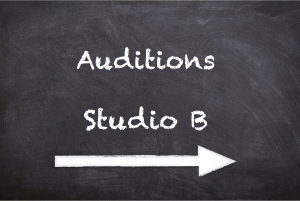 3) If someone calls out of the blue to offer you an audition, verify it before attending anything. This goes along with number 2. We all want to get that phone call, “Joe Shmoe gave me your number and suggested I call you in to read for a lead in a new play I am producing.” But, you need to be sure that Joe really did recommend you. Be gracious (you really may have been recommended) and get all the pertinent details, but then check in with whomever the caller mentioned. If a caller won’t say where they got your info, your radar should go up. Even if your home address isn’t on your resume, other contact info is and you still need to be cautious with unsolicited auditions. If it seems too good to be true, it probably is. 4) You do not have to pay to audition for legit, professional jobs. Let me repeat that – you do NOT have to pay to audition for legit, professional jobs! A gray area could be with workshops that may give you the opportunity to be seen by casting directors, but these should be of a class setup where you will be learning audition techniques and tips with the added bonus of meeting casting professionals and learning from them. Be very aware of these classes and try to go to ones recommend by your peers. You also do not have to pay agents and managers up front. They get paid when you get paid. 5) Beware of managers/agents who say that you MUST use their photographers. Of course professional agents and managers know excellent professional photographers, but it’s up to you to find someone that you click with (pardon the pun). I was signed by a management firm in LA once that insisted I use their guy because he “knows exactly what we want.” I was pretty young and trusting–they were an actors’ management company after all–so I went to him. He barely took any pictures of me, and when I saw them, they were pretty bad, didn’t look anything like me at all. And when the credit card bill came, it wasn’t the photographer’s name on it, but the management firm’s. Needless to say, I didn’t end up getting any work through them. Interview several photographers before you plop down the cash for photos; see samples of their work, ask for references, then make your own decisions. There are dozens more things that can be said, but the main thing is, in this day and age of the internet, do your homework! You can check out who is casting and where; read about legit classes and workshops with reviews; research all kinds of professional contacts. If you are ever in doubt, call a friend, a mentor, your union–just someone you trust–and get an opinion. For more StageAgent tips on auditions, read more here.